How to prune roses easily and successfully, how to prune rose bushes and climbing roses is far easier than you think and is a vital part of growing roses successfully. Pruning roses is an essential part of rose bush care and maintenance. This is because a rose stem will only produce blooms for a few years until it becomes exhausted. At this stage the stem produces new growth lower down and the part of the stem above the new growth dies. If the roses are left unchecked your roses will become a mess of old stems and new stems. By pruning rose bushes regularly you remove the old growth and encourage vigorous, healthy new growth. 1. Completely remove all dead, damaged and diseased stems. 2. Completely remove very thin stems, anything less than a pencil width. Remove stems that cross-over or are rubbing against other rose stem. Ideally you want to have the centre of your rose open. A goblet or V shape is the ideal shape when pruning roses. 3. All your pruning cuts should slope upwards and outwards from the inside of the stem to approximately 1/3 inch above a dormant bud. A clean sharp secateurs is essential for clean cuts that do not damage your rose. This applies to all the different types of roses. Newly planted Hybrid Tea Bushes should be pruned hard, back to six inches from the soil. This encourages the formation of a strong root system in a newly planted rose. 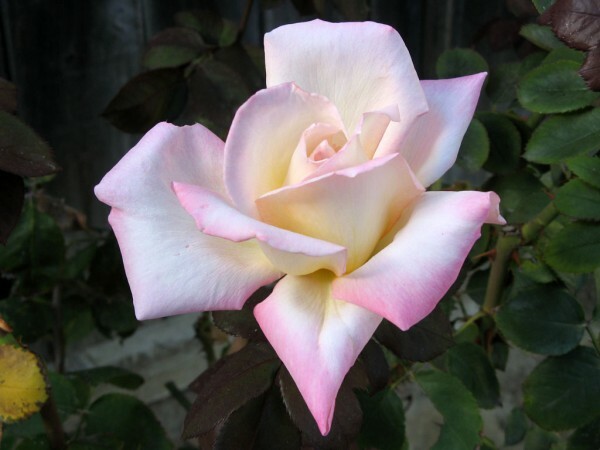 Established Hybrid Tea rose types i.e planted 12 months or more, a more moderate pruning is adequate. Pruning Floribunda And Hybrid Tea Standard Roses. Newly or recently planted should be pruned back to about 9 inches from the stem. Established standard rose types should only be lightly pruned whilst trying to keep the stems approximately even in length after pruning. Newly or recently planted need to be pruned back hard to about 6 inches from the stem. 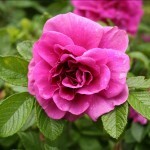 Established weeping standard types of roses should be pruned in autumn. Do not prune new growth as this will form the base for the following years blooms. Pruning Miniature, Shrub, And Low Growing Rose Bushes. 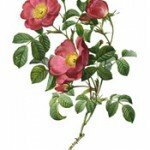 Newly or recently planted of these types of roses do not need pruning. 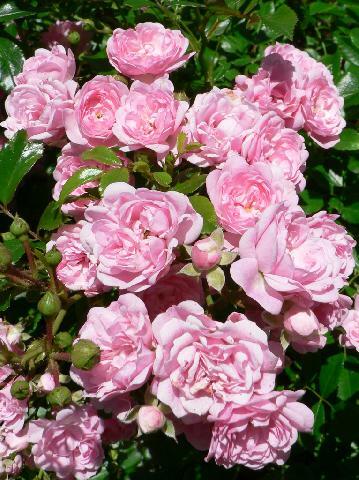 Established roses of theses types only need a very light trim and the removal of dead or mildewed tips. Newly or recently planted climbing roses do not need pruning. You only need to remove dead tips. Pruning climbing roses that are established can vary depending on which variety of climbing rose you want to prune. Generally it is safe to remove all dead and diseased growth. Choose one main stem to remove each year to encourage growth of fresh, vigorous main stem. This will avoid having to prune out many dead main stems in the one year and thereby reducing the impact of your climbing rose. Extensive tests were carried out by many rose societies aimed of measuring a new method of pruning roses, known as the easy-care method, against the more traditional methods of rose pruning. The easy care method proved to be equally effective but far less troublesome and time consuming. This method of pruning rose bushes simply involves cutting the rose back to half its height. Secateurs or hedge-trimmers can be used. No need to remove weak growth, although for appearances it would be better, and you can prune out dead wood at the base of the rose if you want to.